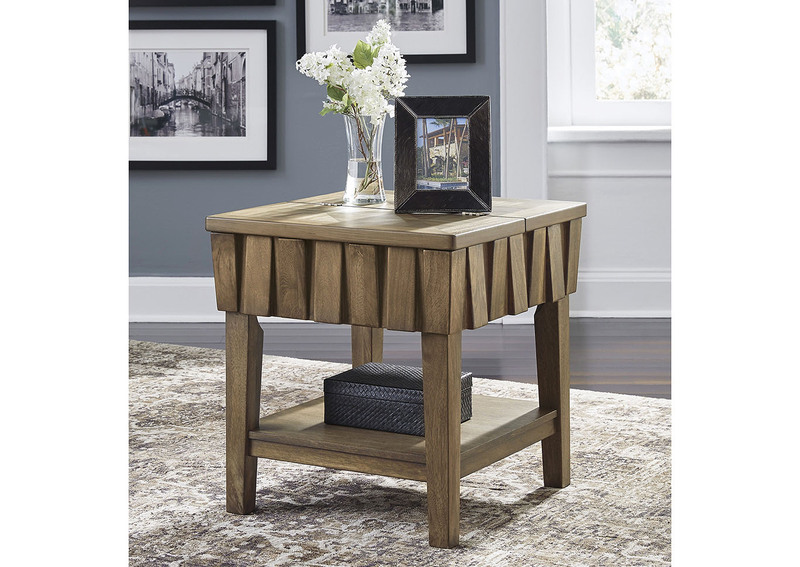 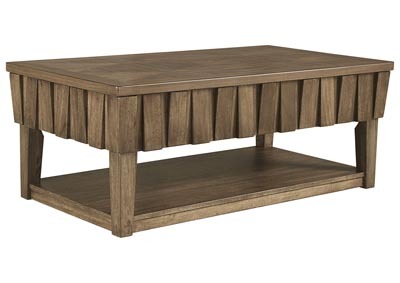 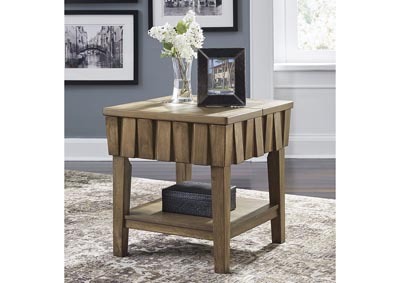 Distinctive style and functionality make the Rowenbeck end table a must-have for your living space. 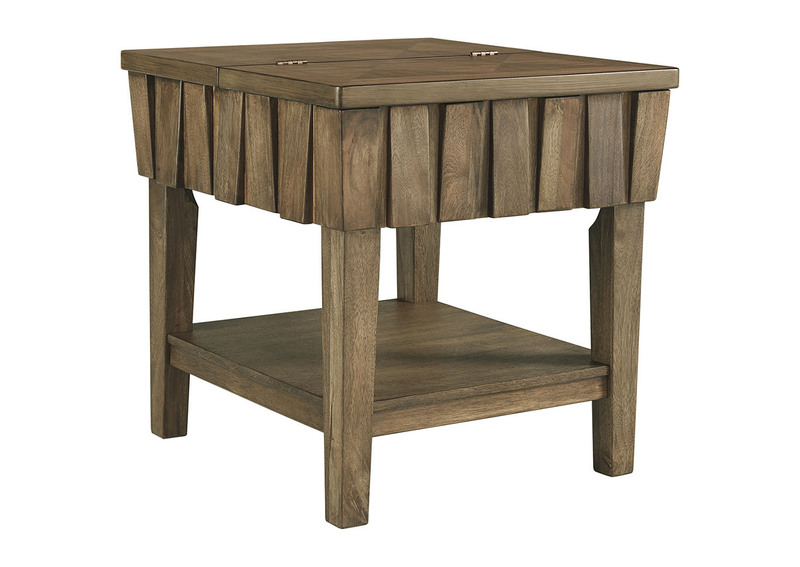 Its eye-catching appearance is sure to impress with an inlaid parquet patterned top and standout apron with alternating wedge blocks for drama and dimension. 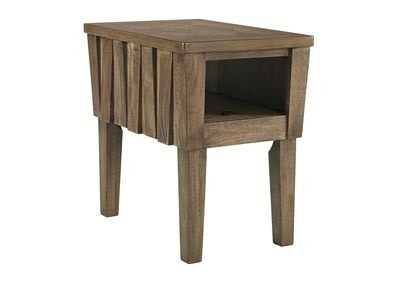 Complete with a hinged top revealing hidden storage, it’s as pretty as it is practical.